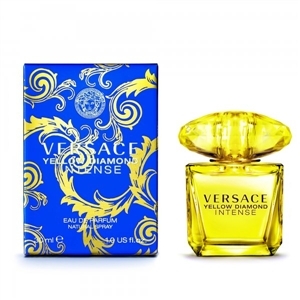 A perfume wich enchants with its Mediterranean refinement of sparkling Bergamot, Citron of Diamante and noble Neroli, with the captivating combination if irresistible and attractive accents of Pear Sorbet. The heartcelebrates an intense and glamourous femininity which expresses itself with creamy and velvety facets of Jasmine petals and Osmanthus, together with precious notes of Orange Blossom and Freesia. The sensual and enveloping dry down is based on deep and vibrant tones of Amber Wood and Palo Santo, enriched by teh voluptuous notes of Benzoin and sparkling and seductive Musk.